When you need a boost, don’t reach for something unhealthy like a canned energy drink or packaged bar full of sugar. It’s quick and easy to whip something up yourself, from a simple veggie-packed breakfast wrap to a tray full of no-bake energy bites. 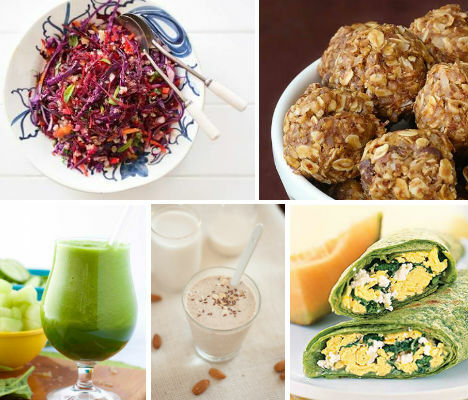 Oats, peanut butter, flax, hemp, quinoa and eggs are among the powerhouse ingredients in these 10 recipes that will give you the energy you need to get through the day.